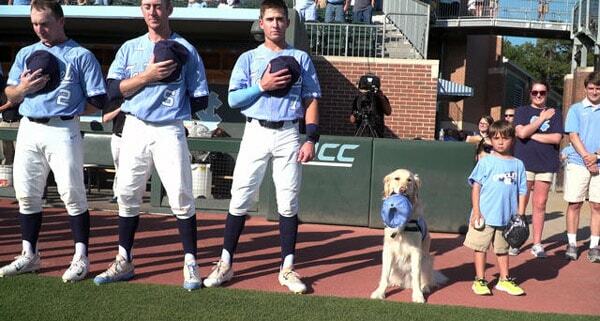 A two-year-old golden retriever named Remington is hitting it out of the park as one of the newest members of the UNC Chapel Hill baseball team. The service dog hit the field with glove in hand for the first time this season and is doing more than fetching balls. Remington knows more than 100 commands (including “reading” written commands from cue cards), can fist bump and provides emotional support to his teammates. Remington is Carolina’s first athletics training room assistance dog. He’s also the first in the Atlantic Coast Conference. His official title is psychiatric medical alert facility rehabilitation service dog. For the team, Remington has been a source of comfort. For fans, he’s been a source of joy. Remington stands with the team and holds his hat or a glove during the National Anthem, carries water to umpires and offers up fist bumps and high fives to players. Are you looking for a Golden Retriver? Why not get a rescue dog? 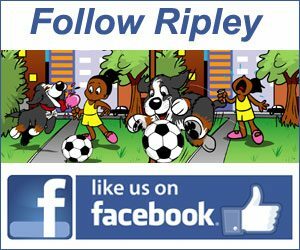 Try PetFinder.com. Xiong Xiong The Loyal Dog! The Chinese Hachiko. A 15-year-old dog in in Chongqing’s Yuzhong district has been dubbed the ‘Chinese Hachiko’ for patiently waiting up to 12 hours a day outside a local metro station until his owner returns from work. Watch the video!